Koziol presents a real alternative for time and soul with the Toc-Toc clock. Since where there is the classic Black Forest timer with the bloodcurdling whispering-shouting playing with our nerves, the modernized edition is much more pleasant and relaxing. 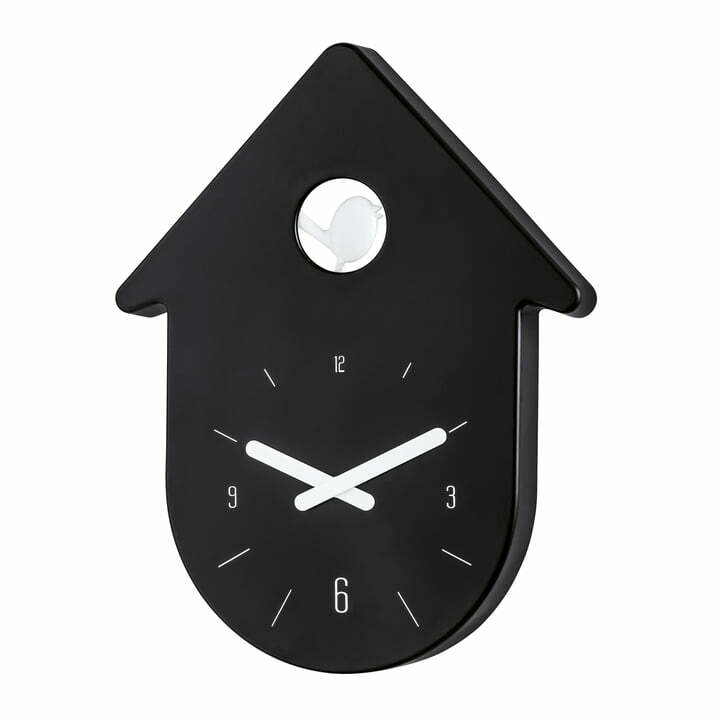 The Koziol Toc-Toc wall clock informs about the time with clear, minimalistic design and it still makes up the bridge to the great-grandfather: The bird in the roof ridge pends from one side to the other but it remains constantly quiet. The emotionally designed Toc-Toc wall clock is equipped with quartz clockwork by Koziol. 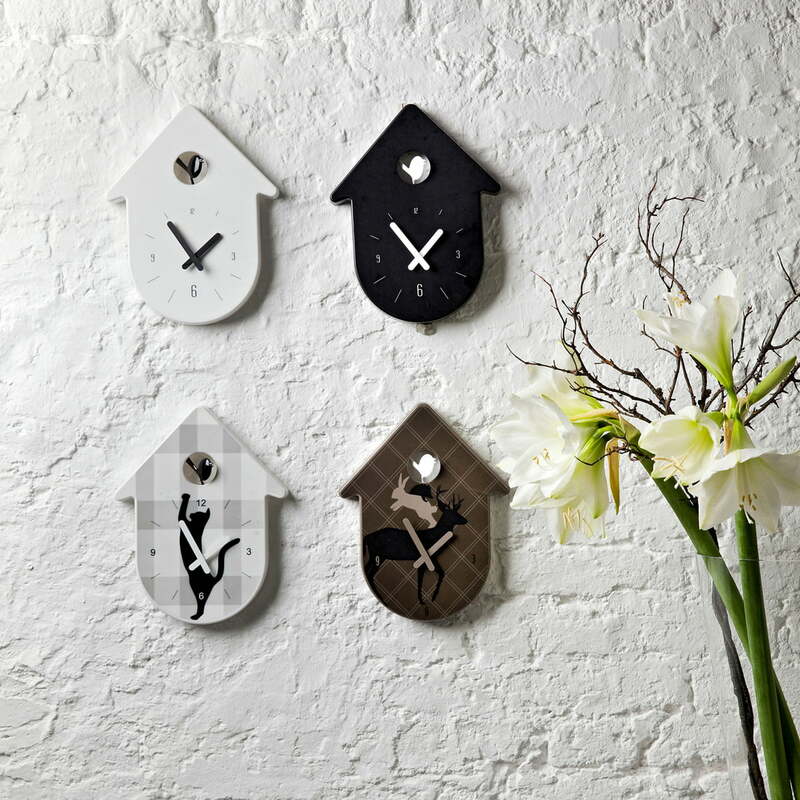 Other editions of the modern cuckoo clock are also available.